At its heart, clever searching lies at the intersection of critical thinking, imagination, and the savvy use of technical tools. 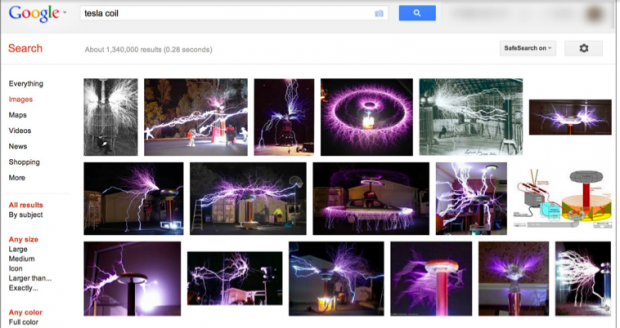 Google Search Educator Tasha Bergson-Michelson begins a series of guest posts about innovative ways to approach finding information and the problems we can solve when we bring together technology, creativity, and education. It’s right before bedtime on Sunday night, and your child just announced that she has a report due in the morning about heroes. Excited by the Super Bowl, she wants to write about teamwork among her personal heroes, the New England Patriots. 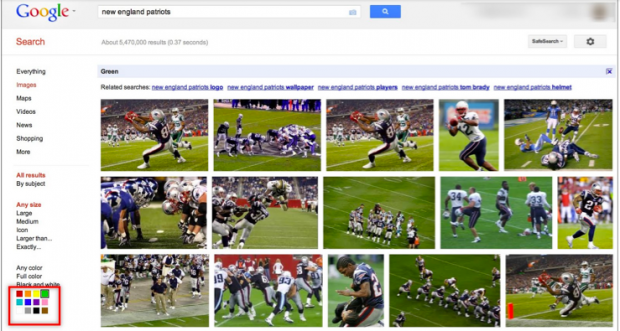 Off she goes to Google to find some inspirational pictures of the Patriots in action. 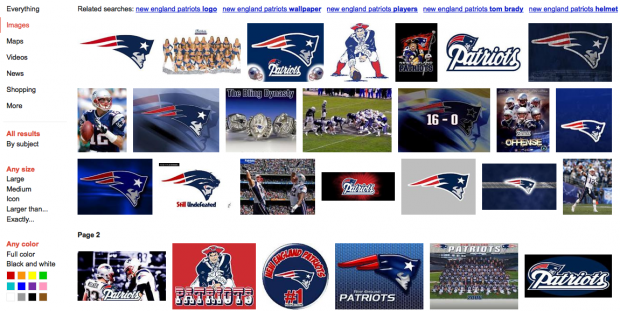 When searching for the New England Patriots, you get a variety of images--but many of them logos, or fan created photo montages on a background of the team colors. If you actually want a screen full of pictures of people playing the game, what are your options? Looking at this first screen of results, considering what to do next, a savvy searcher asks what pictures of people actually playing football would all have in common. One picture above immediately catches the eye: the green photo in the third row. You can tell that it is a picture of a game because of the grass on the field. In fact, most action shots in a game should have a background of turf. So, what if there was a way to tell Google to deliver only images with grassy backgrounds? 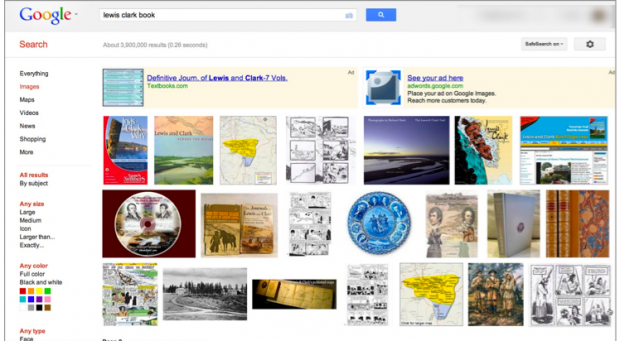 You might be surprised at the scholarly contexts in which color filtering becomes a powerful search tactic. By itself color filtering might seem like a niche feature, but looking at a few practical applications can get your creative juices flowing as you think about problems it might solve for you. 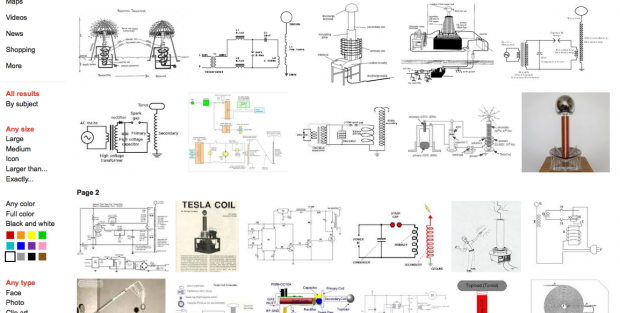 Now, all of a sudden, your results are primarily diagrams and other technical details. Voila! These searches are examples of a broader strategy called predictive search, in which you winnow down to your best results by anticipating their common factors. 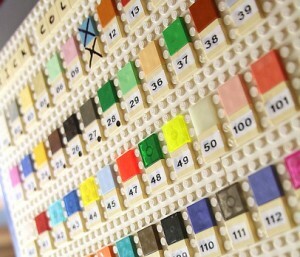 Google search allows you to specify common factors by color or terms, but also by characteristics like language, medium, or geographical or chronological features, in order to narrow down to exactly what you need. Once you see how you can think creatively about the defining characteristics of the information you want, you can become truly powerful at finding what you need. Future posts will explore unexpected applications of everyday Google tools to solve problems even faster and more effectively. 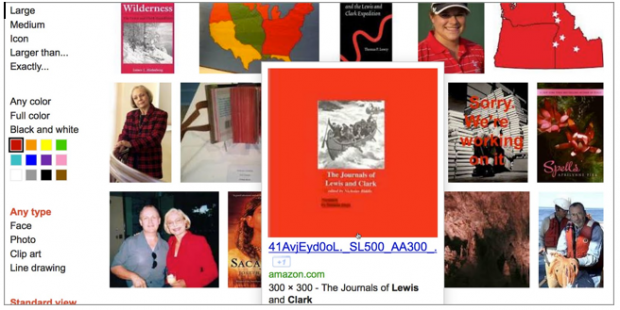 This method works whether you are trying to identify that full title you forgot to write down for your works cited list, or locating a gift for that special someone, when you can’t remember the title, but have just a general idea of the topic and remember that great shade of red. Often people think of searching in words, but don’t consider the other elements that they know identify their answers. A little creativity in making use of what you know can find you more than you ever dreamed. Give it a try! What problem can color filtering solve for you?